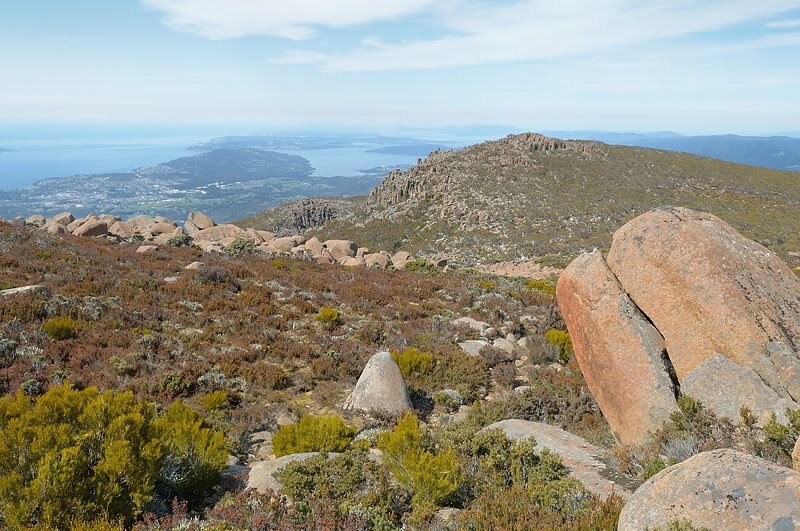 Show-Day weather was superb today, so to Mount Wellington. 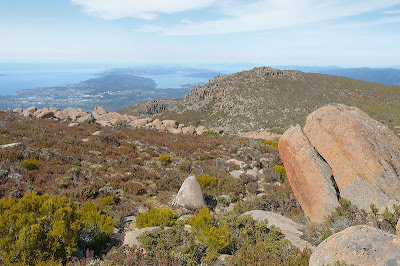 Had a nice walk up the Icehouse Track and across the plateau to the summit. Lots of people at the summit trying to find snow to throw at each other. They seemed like they'd probably prefer to be at the show, and I wondered why they weren't. Anyway, not a peaceful time at the top, but nice to sit on the stone benches halfway down the Zigzag Track.